PIERRE, S.D. — Attorney General Jason Ravnsborg is warning South Dakotans to be weary of disaster-related charity scams in the wake of regional flooding and destruction from harsh weather. It’s best to donate to organizations you know, that have a strong reputation, and a local presence. Be cautious about fundraising efforts initiated on social media with no known ties to an established organization or local charity. Evaluate the charity before making a donation. Resources such as Charity Navigator, GuideStar, IRS Select Check, the National Center for Charitable Statistics and the BBB Wise Giving Alliance all provide information about established charities. Designate the disaster so you may ensure your funds are going to disaster relief, rather than a general fund. Don’t fall for imposters. 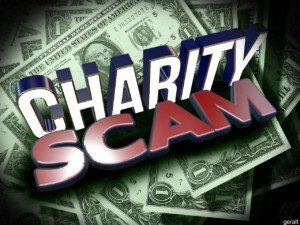 Watch out for charities with names that sound similar to wellknown organizations. Sometimes these sound-alike names are designed to confuse donors. If you receive an email, telephone call or text message asking for a donation, confirm that the request is from the charity, and not an imposter, by contacting the charity or visiting its website before making the donation. Avoid cash donations if possible. Pay by credit card or write a check directly to the charity. Do not make checks payable to individuals or send money via money transfer.